Contour Dermatology invites you to check out our April face and chin renewing options for a more beautiful you this spring! Chin Win Skin Grin – 4 Amazing Specials! Please schedule your consultation to learn more by calling (760) 423-4000 or click the convenient button below to schedule online. Spring is the month of renewal when everything blooms – so why not you? We have four amazing face/chin specials for your consideration this April ranging from Profound – a microneedling and radiofrequency treatment to a Mini Facelift with savings ranging from 40% to 15%. Those of you who are bothered by fullness under the chin will appreciate our special on tumescent liposuction for either chin or jowls. 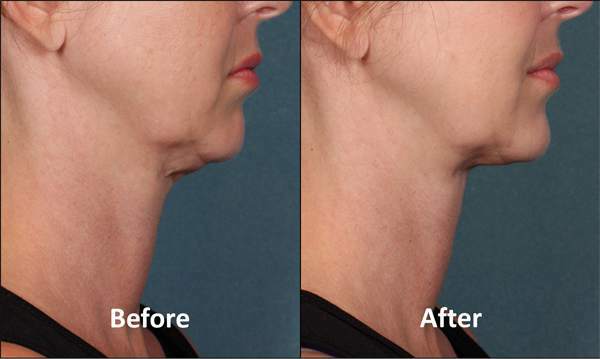 Also on special is Kybella which can reduce the appearance of a double chin. Spring to the phone to schedule your consultation to learn more about which might be right for you. This month, we’re offering 20% off three ways to sculpt your body: CoolSculpting, VelaShape III and Tumescent Liposuction. Please call us to schedule a consultation to learn more about these excellent body-shaping options. This special is effective through January 31, 2019. Profound was named Profound because it truly delivers profound results – both for skin laxity and for wrinkle reduction. This dual treatment features microneedles which are heated by radiofrequency to stimulate your body’s own production of three key things that start to wane with age – Collagen, Elastin and Hyaluronic Acid. Profound can be performed on the face, neck and body to tighten up areas of loose skin and on the face you will see an improvement in the appearance of wrinkles. Call today to schedule your consultation to learn more about this treatment. It’s no secret that gravity is in effect from day one and its visible effects usually appear in the mid decades. 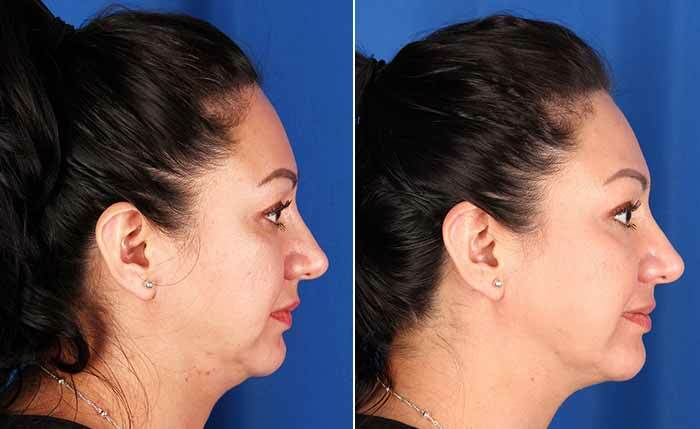 Also, some people just naturally collect fat under the chin and in the jowls which can be hard to lose despite exercise and diet. Tumescent liposuction is a very effective treatment to give you back a more defined chin and jawline and can make a big difference in your appearance. 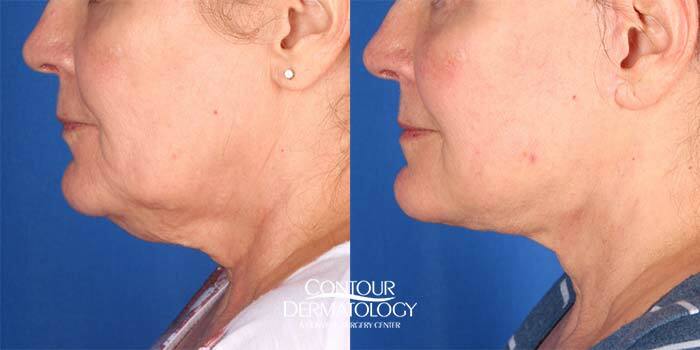 This month only, you can get a tumescent liposuction treatment for under the chin or the jowls for just $999. Check out the before and after results. They are undeniable! Kybella is an alternative to liposuction or CoolSculpting for reducing the accumulation of fat under the chin, the medical term for which is submental fullness. Kybella is an injectable solution which contains deoxycholic acid which specifically targets and destroys fat cells in the under-chin area. Our bodies naturally produce deoxycholic acid to help with the absorption of fats. An injection of Kybella provides additional deoxycholic acid to break down the outer layer of fat cells under the chin whereupon your body naturally eliminates them. Submental fat basically melts away. 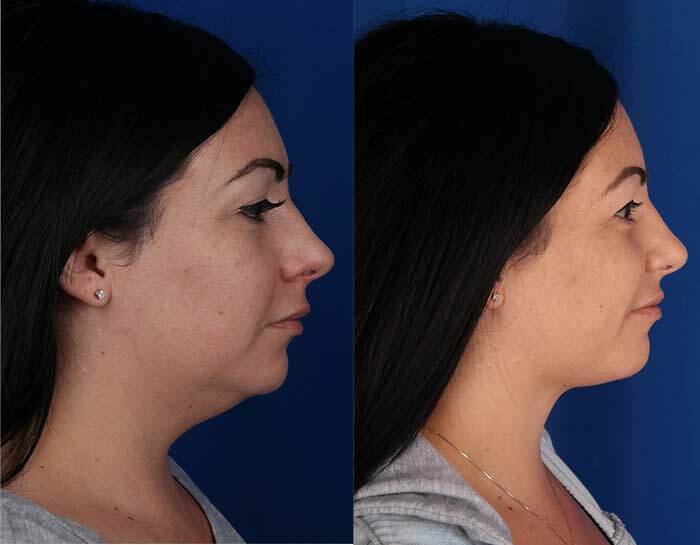 If you have a small pocket of fat under the chin and want to reduce it, this could be an excellent treatment option for a more defined profile. For those of you who have been thinking about “turning back the clock,” we invite you to schedule a consultation to discuss how a Mini Facelift might help you look as young as you feel. Many of our patients comment that they look 10 years younger after a Mini Facelift which pulls back and tightens loose skin in the lower two-thirds of the face and jowls. Dr. Jochen performs this minimally invasive procedure in Contour’s AAAASF accredited surgical suite. The results are long lasting and the neat incision around the ears makes for a virtually undetectable scar. The tight windswept look so many fear is supplanted by a natural looking and firmer jaw line, accompanying smooth skin and an overall younger appearance. Schedule your personal consultation this month to learn more. Call us today at 760-423-4000 or click here for an online appointment request.